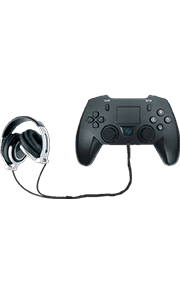 Bring the comfort and experience of console gaming to your Android tablet with the Jinoux Bluetooth controller. Sync up via Bluetooth and play hundreds of compatible Android games in a console style environment. Connect your tablet to your TV via HDMI port, sit back on your couch and enjoy a quality gaming experience, powered by your tablet. Built-in lithium battery provides long time power support. Built-in Bluetooth is easy to connect, and can realize safe and stable connection and communication. With it you may have an excellent experience playing games on Tablet, PC, TV, iPhone/iPad or even your Android consoles. It can also be used to play games of iCade. It is specially designed for intelligent system games. The Gamepad can be used as a mouse or a keyboard.